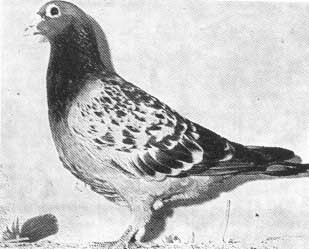 Valere De Smet-Matthijs is without any doubt a very great name in pigeon sport. 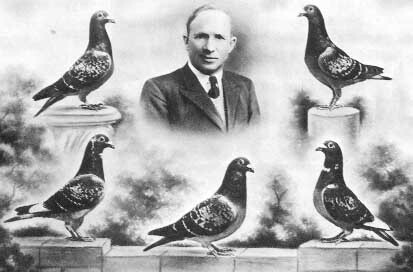 Together with the pigeons of the Janssen Brothers from Arendonk this strain of pigeons carried out the fame of the Belgian racing pigeon into the world of the pigeon fanciers. Valere Desmet with his famous "Oude Klaren '46"
Especially in the fifties and sixties the loft of Valere De Smet-Matthijs was the finest all-round champion loft of the whole of Belgium. On all distances, short-, middle-, and long distance these super birds dominated their opponents. 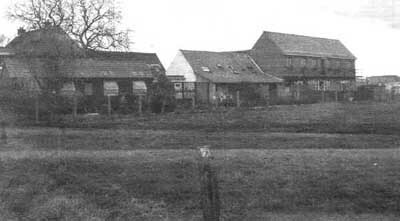 "De Schonen '54" of Desmet-Matthijs. Their names were simple but what they achieved was super: "De Schonen", "De Blesse", "De Rik", "De Genaaiden", "De Sturen", "De Goede Zwarten", "De Kapoen", "De Ballon", "De Jonge Klaren", "Het Prinseske", etc. were world class pigeons. 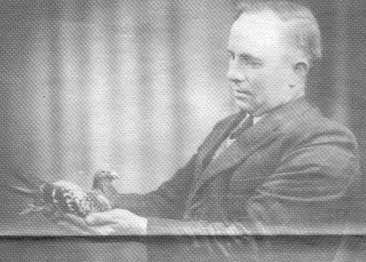 Striking was that they all were inbred descendants of the world famous "Oude Klaren of '46", the miracle foundation bird of Valere De Smet-Matthijs. The old loft of Desmet-Matthijs. Now 40 and more years later they all are legendary pigeons but they all are of that quality, that they are nowadays still mentioned often in the international pigeon magazines. The name De Smet-Matthijs as well as the name of the Janssen Brothers is often used wrong and exploitated. When I write here that the direct descendants of almost all mentioned basic breeders of the De Smet-Matthijs strain are the most important column of the uprising of my own strain, than is no word spelled wrong. I am very proud of what I achieved thanks to those strains. I always took special care to maintain this superb strain in the bloodlines of my family of pigeons. I am very satisfied that I succeeded in doing that so well.